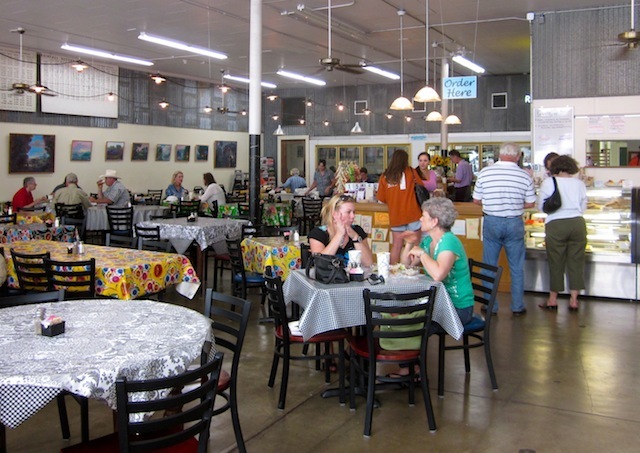 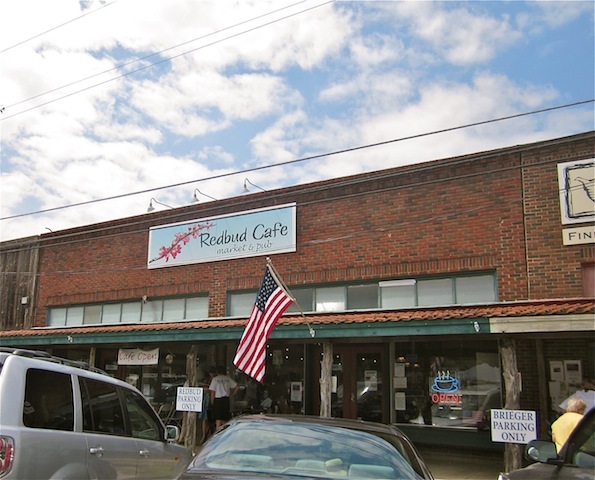 (map) Housed in a former hardware store across from Blanco’s historic courthouse, the Redbud serves up a little bit of everything. 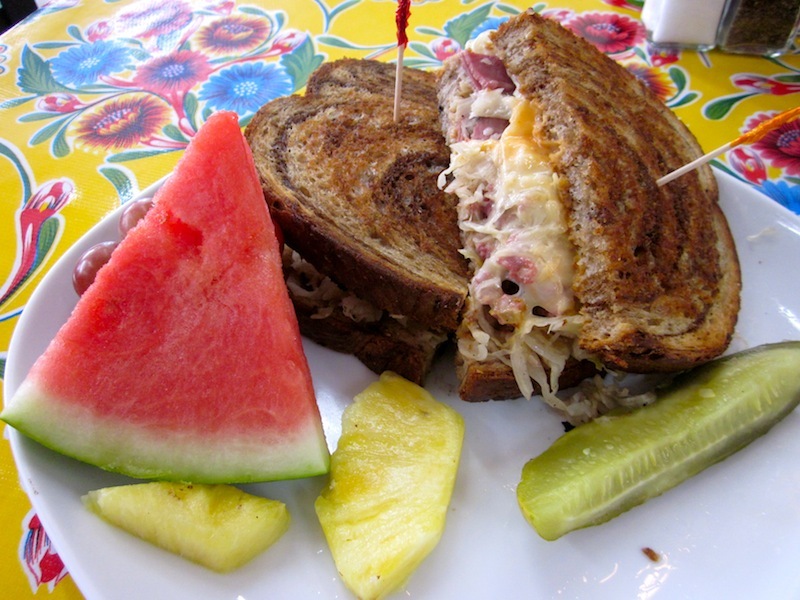 There are great sandwiches, like the Classic Reuben, above: a warm, cheesy combo of grilled rye, pastrami, swiss and sauerkraut. 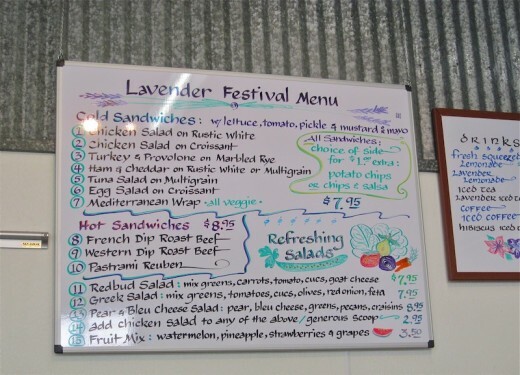 There are also fresh soups and salads, and a whole case full of just-baked pastries. 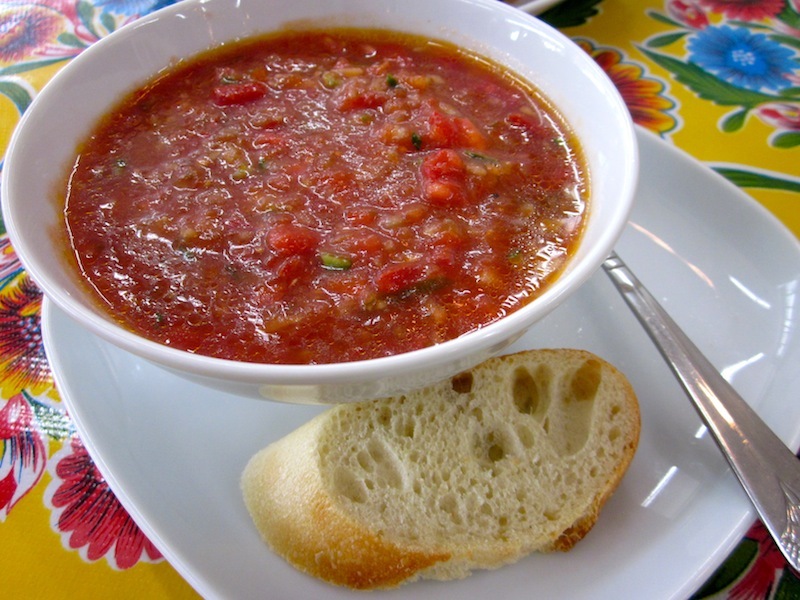 Below, the chilled gazpacho, crunchy and refreshing on a hot day. 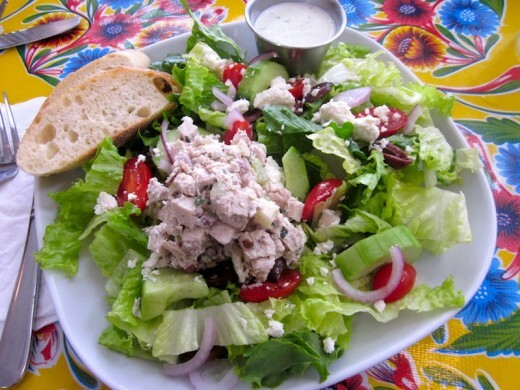 This Greek salad is topped with a scoop of house-made chicken salad, nutty with pecans. The owners try to use as many fresh, local ingredients as possible. 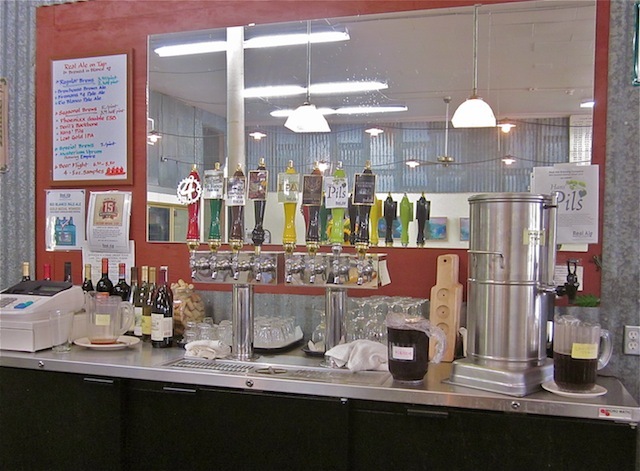 On tap below, several local brews from Blanco’s Real Ale, as well as Texas wines (and lavender iced tea!). 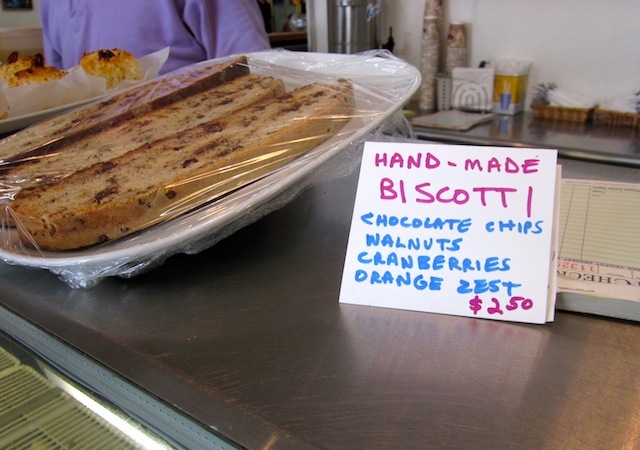 Fresh-baked biscotti, sugar cookies, coconut macaroons, and cakes are on hand to tempt you after your meal.